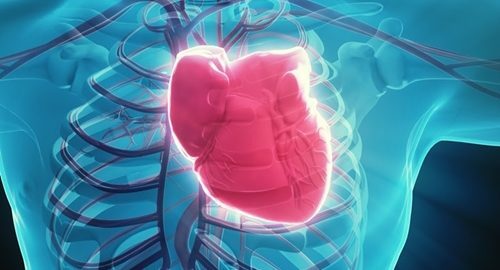 Facing an aging population and a record penetration of heart disease and cardiac complications, continuous-flow left ventricular assist devices (CF-LVADs) have emerged as the treatment of choice for patients facing end-stage heart failure. These devices serve a crucial purpose for these patients, who previously had little medical recourse. Now, over 2,000 CF-LVADs are implanted annually, with that number forecast to grow in coming years, as the treatment gains even greater evidence as a successful bridge therapy to either recovery or cardiac transplantation. The Methodist DeBakey Heart and Vascular Center (MDHVC) is a recognized authority on the development and implantation of these devices. The first CF-LVAD implementation was completed by its team in 1998, and since that date the Center has been instrumental in the adoption of the technology. Beginning in 2013, Medical Metrics Inc. (MMI) has supported MDHVC's clinical team and the advancement of these devices by providing expert medical imaging infrastructure and services through our partnership. MDHVC's clinical team represents the foremost experts on CF-LVAD therapy, however, to achieve clinical and regulatory success, the latest imaging infrastructure must be employed in conjunction with experienced readers to produce the quality of clinical evidence demanded by payers, providers and regulatory authorities. MMI is able to provide the necessary medical imaging consulting, expert image review and management to improve our understanding of CF-LVAD function and ensure the devices' safety and efficacy. The primary imaging modality to monitor patients with continuous-flow LVADs is echocardiography. Clinicians at MDHVC have developed novel quantitative methods for echocardiography image analysis that are applied routinely in clinical investigations, which have helped reduce readmissions following implantation and led to the increased adoption of the devices being seen today. The clinical trial team is led by MMI's Director of Cardiovascular Imaging, Dr. Miguel Quiñones, who has authored numerous works on cardiac imaging for clinical trials. For information on MDHVC's most recent work with CF-LVADs, please explore the most recent volume of the Methodist DeBakey Cardiovascular Journal. As this evidence helps prove, the partnership between MMI and MDHVC has resulted in the premier destination for cardiac device clinical trials, helping sponsors ensure a successful outcome through the support of the field's most recognized experts and the use of the latest imaging technologies, techniques, and management systems.